As with any wireless system, wireless signal strength can be a major concern. Commercial CCTV systems often have longer distances to cover, and commercial CCTV systems typically provide a higher quality image than a residential system. With higher quality images, more data is required to get produce that image. With a wireless system in a larger commercial environment, this becomes problematic, and can cause image disruption issues. When a commercial CCTV system is protection valuable areas and items in your business, not having proper wireless coverage can leave your vulnerable. 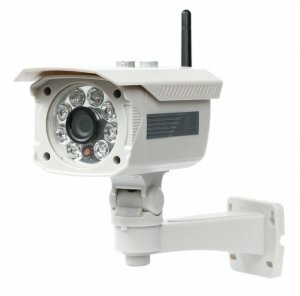 In the same way that a poor signal can disrupt a video signal, for wireless cameras that are placed outdoors weather can play a factor in your wireless commercial CCTV system. Weather events like heavy rain or snow can disrupt the wireless signal to the point that the signal can become disrupted and create a situation where the wireless CCTV system is not capturing images. One item that is not usually considered when the request is made for wireless cctv cameras: power. Wireless CCTV cameras still need power in order to record and transmit images, and that will still need to be wired into the camera. Often, these wiring routes can be short, and run to local power sources however it still needs to be considered. For cameras which are remote outdoors, how do you get power to these cameras? Can you use solar? Some other way? It is a significant item which needs to be considered. These are but three issues with wireless CCTV systems. Wireless CCTV systems have come a long way, and have application in very specific applications. However, where at all possible, FMC recommends hard-wiring these wireless CCTV cameras to the Network Video Recorder in order to create the best commercial CCTV solution for your business. Contact Us for more information on commercial CCTV solutions for your business, or if you have any other questions about wireless CCTV cameras.